Conversation then moved on to the moment when Naomi received her trophy, during which some members of the crowd continued to shout and boo in reference to earlier events. 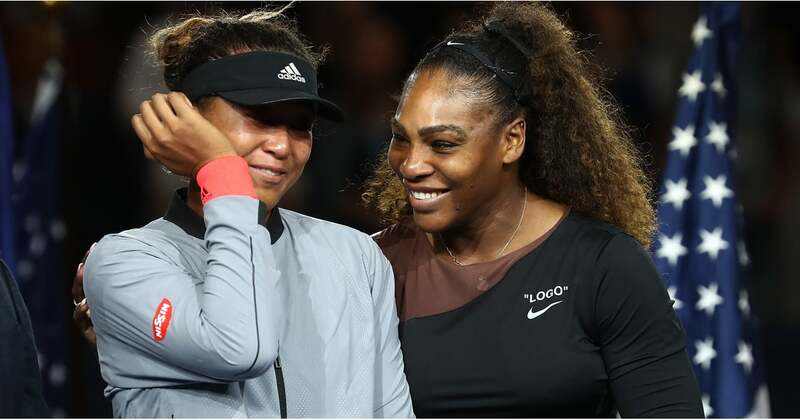 Serena leaned in to her opponent to whisper a few words, and Naomi revealed that they were all positive. “She said that she was proud of me, and that I should know that the crowd wasn’t booing at me,” she explained. Watch the video above to see Naomi explain further how it felt to step up to the podium for the first time and to see Ellen try to set her up with a certain Black Panther star.